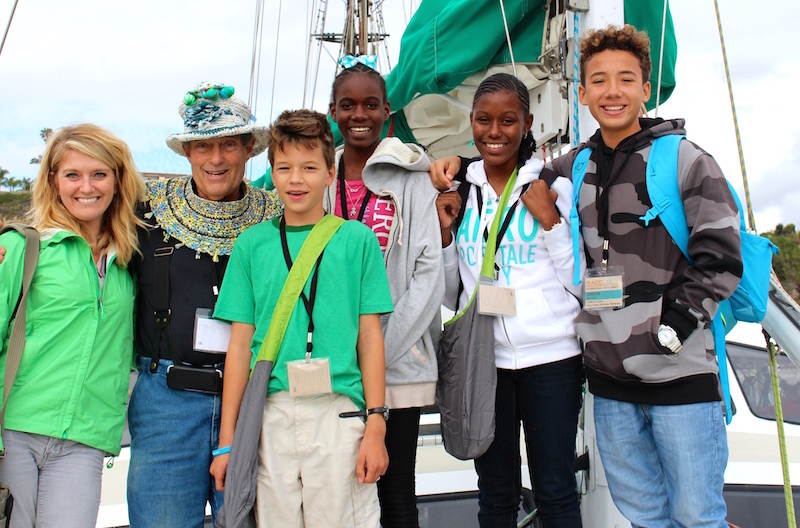 The Island School and Cape Eleuthera Institute, in partnership with 5Gyres, musician Jack Johnson and All At Once, are excited to host the Youth Action Island Summit on our Cape Eleuthera campus this June 5-7, 2015. 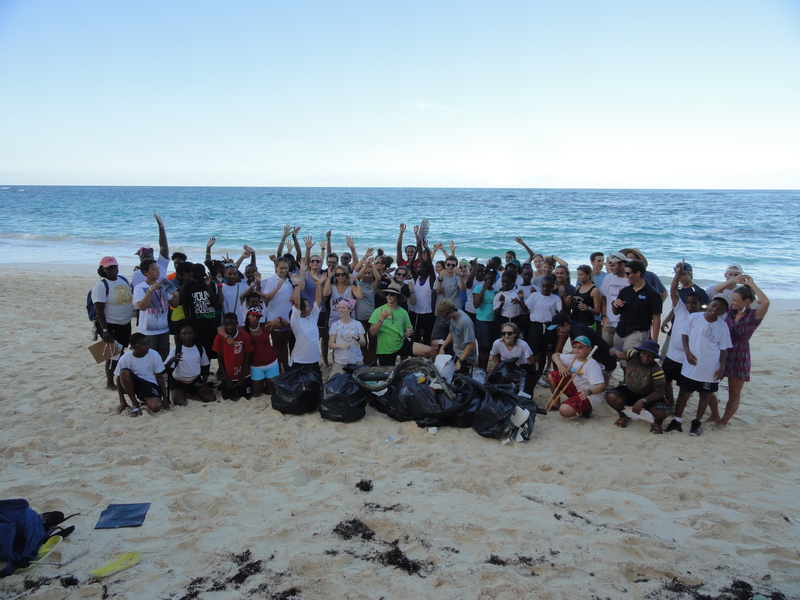 We have invited Bahamian students from Eleuthera and neighboring islands to explore and generate solutions to plastic pollution for island nations around the world alongside activists, artists, scientists and educators. Like many island nations, the once pristine blue-water beaches of The Bahamas have been overrun by plastic pollution. Found on the border of the North Atlantic gyres, The Bahamas are not just forced to deal with their own plastic waste, they also serve as a collection site for the worldwide plastic waste that has been carelessly washed away to sea. We aim to provide the students with tools that will empower them to find and give life to solutions for their islands and islands around the world. To learn more about the weekend, visit our website here. DCMS teacher Nikki Elliott, Captain Charles Moore, DCMS students Forrest Schmitt, Giltavia Goodman, Tiia McKinney, Simeon Bethel at the POPS Conference in Dana Point, CA. Hi! My name is Simeon Bethel and I am a 13-year-old youth activist that attends the Deep Creek Middle School and I am passionate about the problem of plastic pollution in our oceans. At my school, I am part of the Eco-Club where I am treasurer. Our school’s Eco-Club is what initiated our green flag certification and DCMS was the first school in the English speaking Caribbean to be certified with the green flag. We have solar panel water heaters and fan switches that regulate the amount of time a fan can be left running in order to prevent them from continuously running throughout the day–to save energy. 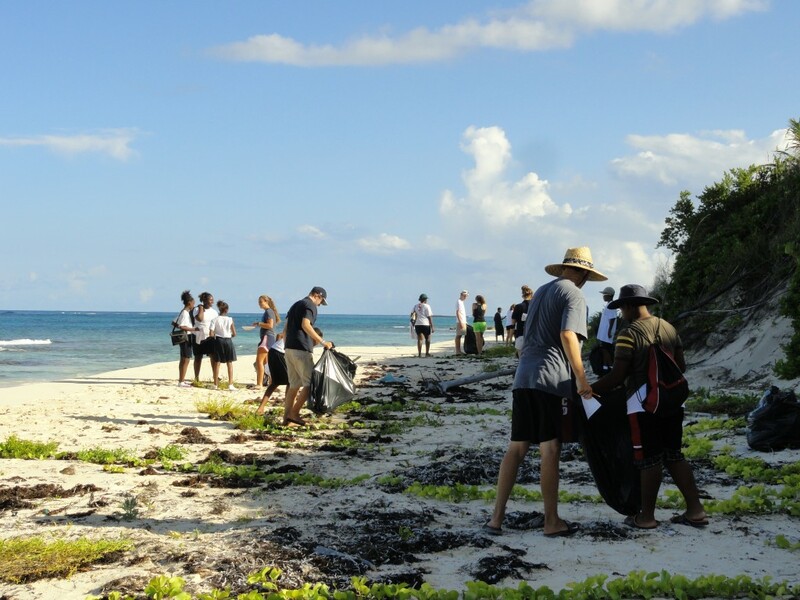 The Eco-club also orchestrates many different beach cleanups and events that inform the public about the damages that plastic pollution has on our environment and beautiful waters. To support our learning as leader and environmental activists, myself and three other students were given the privilege to travel to Dana Point, California to attend the Plastic Ocean Pollution Solutions (POPS) Conference. This event took place on February 27 to March 1, 2015. At this conference, many other youth activists from all over the world came to share their own projects or solutions to plastic ocean pollution. There were many inspirational speakers about the topic of plastic ocean pollution and also many world renowned scientists that have made remarkable discoveries and advancements towards solving the problem of plastic pollution in our oceans. This whole event took months and months of planning, project finalizing, brainstorming and orchestration. The Deep Creek Middle School’s project is to have large-scale beach cleanups on certain beaches and then install proper signage on the beaches. For example, one might say, “150 Pounds of Plastic was Collected from Lighthouse Point Beach. Please Help us in Our Effort to Keep These Wondrous Treasures Clean, Green and Pristine”. Also, prior to and during our trip to California, the Eco-Club started to think about the fact that cleaning the beaches is not the answer to all of our problems–it is simply helping the cause. We decided that we should also inform the public. We should inform the people that don’t really know that much about plastic and its harmful effects on the environment. By educating the population of this island, and hopefully The Bahamas, it will target and stop the problem of plastic ocean pollution at the core. Thankfully, this conference that we attended allowed us to improve our project to get the best and most effective results out of the whole event. All in all, the Plastic Ocean Pollution Solution Conference was an amazing experience for me, my peers that attended, our teacher who came with us and all of the other inspirational speakers and students that attended. It was definitely an inspiring and life-changing event. Keep an eye out for DCMS’s Plastic Pollution initiatives and join us by being part of the solution. This past Saturday, the Deep Creek Middle School Early Act and Eco Club teamed up with Preston Albury High School’s newly formed Eco-club to sort plastics 1, 2, and 5. It wasn’t the prettiest job sorting plastic bottles, food containers, and removing bottle caps from a few hundred bottles, but we made it fun with a competition between 3 groups to see who could sort the most! 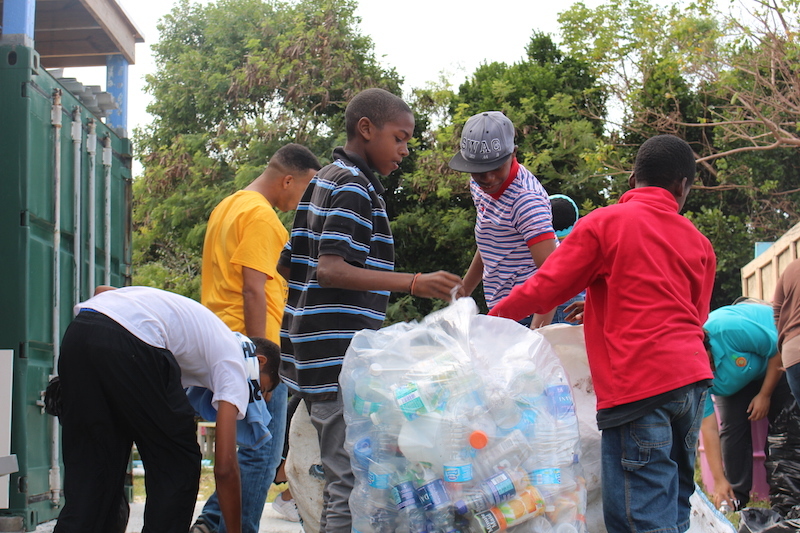 All plastics will be sent to Cans for Kids in Nassau and then sent to the States for recycling. Cans for Kids is a Bahamian non profit that recycles cans, and now plastics as well, to raise money for schools and youth organizations. This event was an effort to spruce up the recycle center at the South Eleuthera Emergency Partners, SEEP, in Tarpum Bay to implement a One Eleuthera grant funded recycle program in schools in South Eleuthera in the next few months. 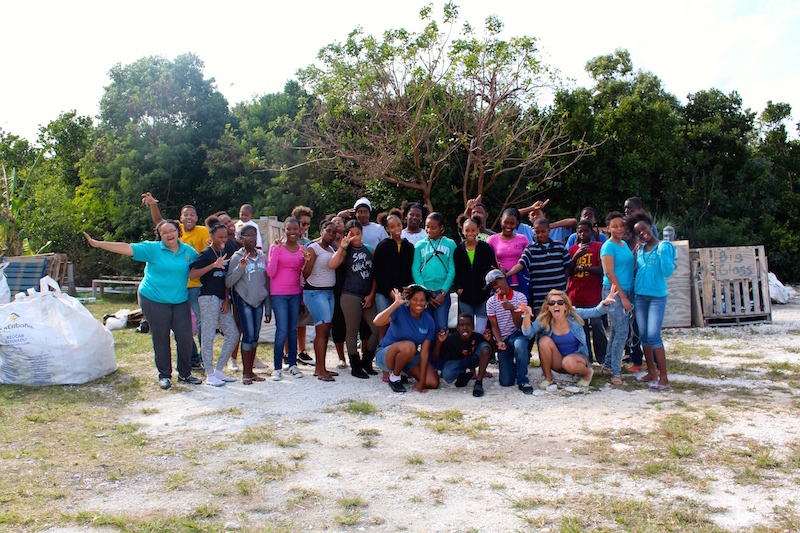 We had 22 students from both schools and 9 adults from One Eleuthera, Cape Eleuthera Institute, Deep Creek Middle School, Rotaract Club of Eleuthera, and the Rotary Club of Eleuthera. September 21st marked the 28th anniversary of International Costal Cleanup Day—a day spearheaded by the Ocean Conservancy where groups from across the world are empowered to take action in their local communities to assist cleaning their local beaches, while at the same time tallying debris in order to contribute to a world wide data set that will determine the current major pollutants in marine ecosystems. Last year more than 2,500 individual cleanup/ tally efforts occurred on this day. 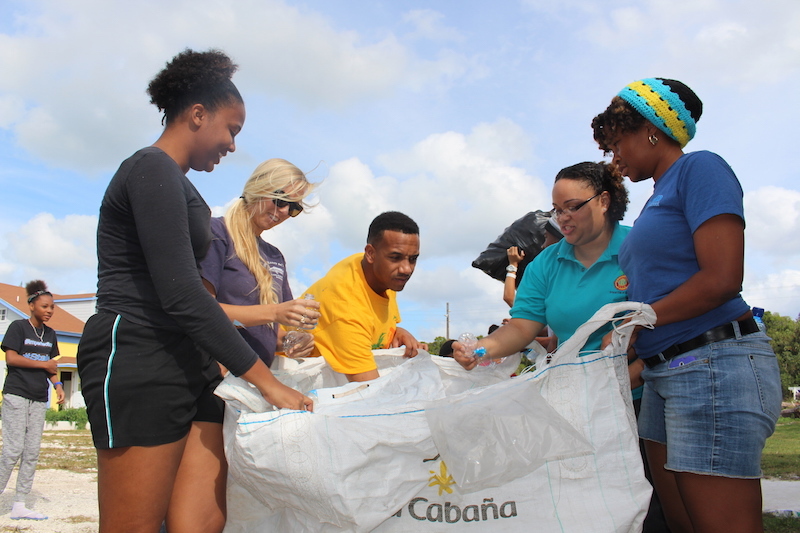 Though Eleuthera has never before taken part in this event, sixty-four people gathered at Northside Beach last Saturday to be the third island to represents the Bahamas in International Costal Cleanup Day. Students from DCMS joined students from the Island School, and a few local families to clean up the beach and catalog debris. The event was organized by DCMS’s Eco-Club, in conjunction with a plastics survey run by Kristal Ambrose from CEI. In the end, it was clear that the major pollutant on Northside Beach was plastics. Plastics were more than seven-hundred times as prevalent as other debris, with styrofoam pieces/parts coming in second. On just ¼ mile of beach, 15 trash bags were filled with debris. Last year, through the green school recertification process, students from DCMS identified single use plastic elimination as a necessary step in order to ensure sustainable practices within the school. Though styrofoam has been “illegal” at the school for years, with violators paying an “Earth Destruction Fee”, the prevalence of single-use plastics has been harder to combat. The elimination plan rolled out this month with a ban on single-use drink bottles, and will continue next quarter with the elimination of single-use plastic snack wrappers. DCMS’s Eco-Club would like to thank all who participated in this event, which highlighted the degree to which plastics pollution is a problem on the island, as well as anyone who participates in similar events in the future. By taking part in International Costal Cleanup Day, students and families took the step to clean up their own community while at the same time working with others from around the world to make positive change. Data from this event gives credibility to the need that the Eco-Club slogan proudly states, “Plastics Free by 2014″. Last week, Chris Maxey challenged himself to try not to use plastic the whole time he traveled from The Island School to New Jersey. 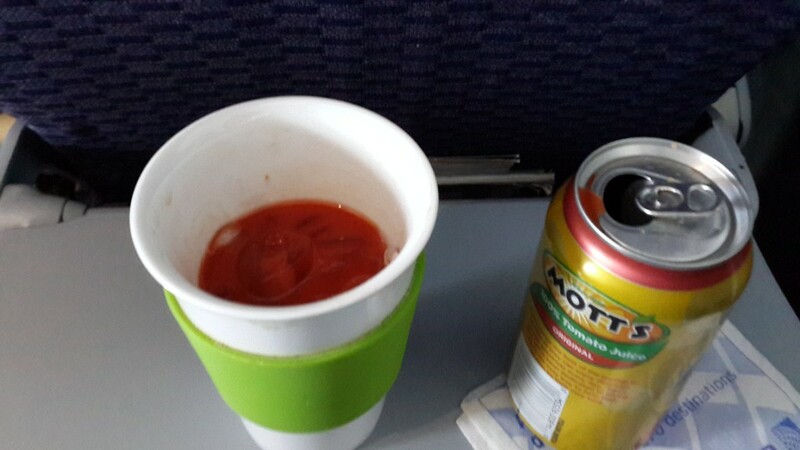 Based on this photo he took during one of his flights, it looks like he was doing a pretty good job! Keep this challenge in mind the next time you travel! Cape Eleuthera Institute’s Kristal Ambrose embarked on her epic journey to of plastic research, leaving on April 24th.. From Nassau, Bahamas to Texas, USA; from Tokyo, Japan to Guam; and finally, on to Majuro, Marshall Islands, the last two weeks have been a whirlwind of exploration, opportunity, and learning for Ambrose, CEI’s Aquaponics Intern and researcher dedicated to finding solutions to plastic pollution in the world’s oceans.